February | 2019 | Community Alliance S.A.
Don’t forget to complete the short survey on DPTI’s website for the draft regulations on development assessment by this Friday, 1 March. Attached is a copy of a survey completed by one of our members which you can use as a guide, as some of the questions are complex. If you want to make a written submission to the draft regulations, Community Alliance has been granted an extension to 15 March. To take advantage of this extension, email your submission by 14 March to Tom Matthews at [email protected] and it will be included in the bundle. Questions? Phone Tom on 0429 337 453. A big thanks to the dedicated Community Alliance members who attending our general meeting last Thursday. It was great to see so many of you there! We had a very informative Q&A session with three knowledgeable panellists including the Hon Mark Parnell MLC, Cr Alison De Backer and Dr Darren Peacock. 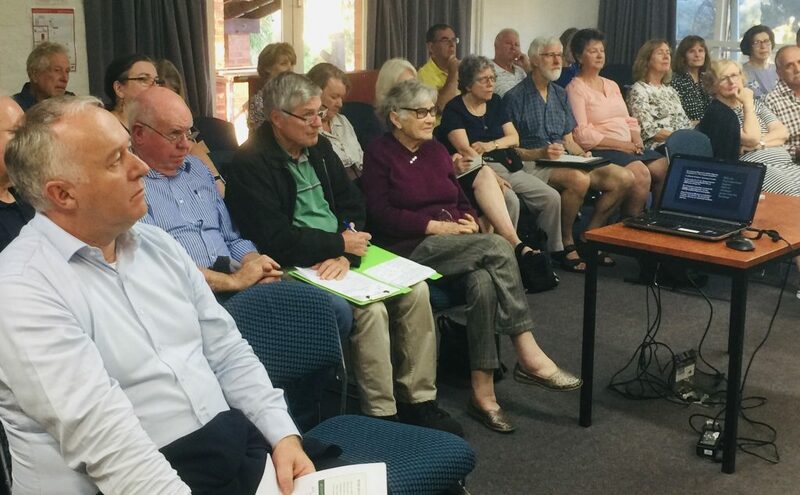 Mark gave a very comprehensive update on the current planning reforms, and in particular the cracks that might emerge to allow demolition of Contributory Items within our precious Historic Zones, which are also under question. Cr De Backer gave an excellent visual presentation showing how valuable these items are in our streetscapes and how we need better education and skill development around heritage in our education and training sectors. Dr Peacock rounded the session off by reminding us how hard we fought for our heritage protection and why we still need to pay attention and lobby to keep what we have and to prevent more unnecessary demolition of contributory items and heritage listed properties. It is really important that you and your members put pen to paper and start writing to your local MPs, the Minister for Planning and the Commission members to let them know your views soon! Property developers lobby well and have paid staff to do their bidding for them. However, we are vital citizens of this State and we vote. We are strong in number and collectively we can be a very effective voice if we use it. Thank you for entrusting us as your new President and Secretary. We particularly wish to thank our fellow committee members for all their dedication and hard work including Laura Pieraccini, Theo Ellenbroek, Carolyn Wigg, Stephen Fisher and Kirsten Alexander. The committee recruited a few more members to help with the letter-writing campaign, and we wish to thank them for their valuable time including Dr Darren Peacock, Melissa Ballantyne, Sandy Wilkinson, Andrew Dyson, Dave Walsh, David Cree, Carolyn Wigg and Evonne Moore. PS – We are planning to visit member groups to listen to how Community Alliance can help you and tell you more about the Heritage Campaign. To book us in, please give us a call! THIS IS ONE GENERAL MEETING YOU CAN’T MISS! GENERAL MEETING ON THURSDAY FEBRUARY 21, AT THE BOX FACTORY, 59 REGENT STREET, ADELAIDE, FOR A 7pm START.